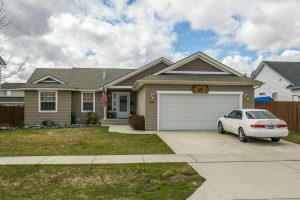 The Hawk’s Nest neighborhood in Coeur d’Alene is highly sought after for it’s beautiful home, great location, nearby parks, easy commute to downtown, CDA, Post Falls, and Spokane. 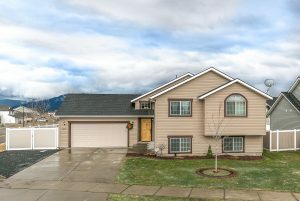 Located off of Atlas Road, just south of Prairie Rd, residents enjoy gorgeous views of Canfield Mountain and Signal Point. Many residents also love the neighborhood’s greenbelt and bike paths, which lead to the Prairie Trail – taking you to Riverstone and downtown Coeur d’Alene quickly and easily. A perfect way to enjoy our beautiful weather coming up around the corner! To make life even sweeter, the sidewalks and landscaping are maintained all year long! That certainly came in handy with all of the snow we had this past winter.